Ian Thomas is a Fujitsu strategist and thought leader currently serving as Chief Strategy Officer of Fujitsu RunMyProcess. He is also active across Fujitsu’s wider software business, investigating new technologies in support of future portfolio plans. Previously, Ian undertook a range of strategy and innovation roles across the Fujitsu Group. As Chief Strategy Officer, Ian works as an integral part of the management team of Fujitsu RunMyProcess to develop the strategy, positioning and messaging of the company. As a leading member of the Fujitsu team that acquired RunMyProcess in 2013, Ian is focused on ensuring it can leverage the scale of the Fujitsu group to bring its transformational value proposition to new and existing customers of both organizations. In his wider role, Ian is also a highly active influencer of Fujitsu’s wider digital platform vision and strategy and has won multiple company awards for business innovation and value delivery. Prior to joining Fujitsu, Ian served as Chief Technology Officer for the General Insurance business of Lloyds TSB, successfully steering the organization through its integration with HBOS as part of the mega-merger to form Lloyds Banking Group. He previously worked as a strategist and enterprise architect at both Legal & General and BT. Ian is a prolific writer and contributor to Fujitsu thought leadership content and to external peer-reviewed conferences. Most recently he published a range of papers on the evolution of the Web and on the convergence of the Internet of Things, cloud and social infrastructures to create digital business models. In this context, he also has been invited to deliver a number of lectures at various events around the world. 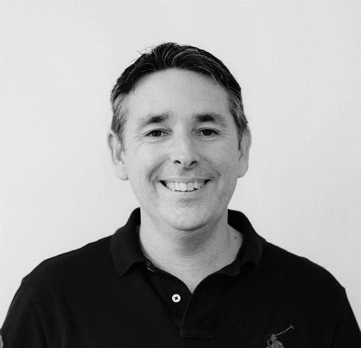 Outside of Fujitsu, Ian is engaged in the wider cloud and startup communities, previously serving as a board member of Eurocloud UK and supporting technology startup organizations within his local area. Academically, Ian holds both a bachelor’s degree and PhD in Computer Science from Cardiff University, where his research was focused on the creation and management of complex event-based systems.